To those of a Christian or Jewish persuasion (or those researching either of these belief systems) who own Charlesworth’s two-volume The Old Testament Pseudepigrapha (OTP) I would call this an essential complement. It includes “all of the references of the Protestant scriptures contained in the footnotes and in the margins of the OTP” (p 7). Including the footnotes is quite the bonus. These are all on four separate lines in the index, with the last one adding (LXX) after Gen. 2:7, since this is an LXX, not an MT reference. The author’s desire is “that, by means of this index, users will have a more convenient point of entry into the study of the intertextuality of scripture and Pseudepigrapha than has ever been available before” (p 10). I’d say this work succeeds marvellously in that aim. Erratta: On page 47 it should be Jude 6 rather than Jude 5 as the reference from/to 1 Enoch 10:4. For if someone comes to you and preaches a Jesus other than the Jesus we preached, or if you receive a different spirit from the Spirit you received, or a different gospel from the one you accepted, you put up with it easily enough (2 Corinthians 11:4, NIV). Apparently, quite a few noticed a number of unbiblical issues with the hugely popular Jesus Calling by Sarah Young, published by Thomas Nelson (recently acquired by secular publishing house HarperCollins). Perhaps the most vocal critic has been Warren Smith, who wrote an expose on Young’s book in his Another Jesus Calling. Smith, a former New Ager, was quick to note that Young’s professed inspiration for Jesus Calling, the similarly titled God Calling (credited in the introduction to Young’s book), was an overtly New Age book channeled through the authors a la the Alice Bailey works, though Young took pains to explain that she deemed her work was/is Biblically-based. It isn’t. Young claims that through contemplative prayer she received “messages” directly from Jesus Himself, writing these words in a journal, resulting in her Jesus Calling. However, some of these “messages” contradicted Scripture. Young’s “Jesus” claimed that Abraham was guilty of idolatry in his “son-worship” of Isaac. This “Jesus” also explicitly contradicted Acts 1:7-9 by stating: ‘I AM WITH YOU ALWAYS.’ These were the last words I spoke before ascending into heaven. Obviously becoming aware of these problems, Thomas Nelson, employing literary sleight of hand, simply made ‘corrections’ to the 10th anniversary edition of the book, including these purported direct quotes from Jesus Himself, with no explanation whatsoever – as if that fixes the problems. 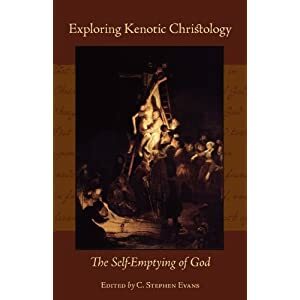 Perhaps the most interesting aspect of this ongoing ordeal is the fact that the secular media is also taking Thomas Nelson to task for deleting the reference to God Calling as the book’s inspiration, as well as the other emendations noted above, with no reason provided for doing so within the pages of Young’s book. Ruth Graham in The Daily Beast writes, “A skeptical reader, comparing the two introductions, would see an effort by a publisher to bring an increasingly controversial but lucrative best-seller into line with mainstream evangelical orthodoxy” (see footnote 8 at link referenced just below). In his book, When Heaven Invades Earth: A Practical Guide to a Life of Miracles [Treasure House/Destiny Image, 2003, Shippensburg, PA], Bill Johnson teaches New Order of the Latter Rain (NOLR) doctrine, a teaching denounced as heresy by the Assemblies of God (A/G) in 1948. This teaching includes Dominionism – that Adam lost dominion of the world to Satan, Jesus won it back, and it’s up to the church to wrestle it from Satan [pp 31-33 (all page #s from 1st edition)]. Integral to NOLR doctrine is the Manifested Sons of God (MSoG) teaching which includes diminishing Jesus Christ to a mere man having surrendered His divinity when the Word became flesh (at the Incarnation) and subsequently re-attaining His deity at the Resurrection. This is by virtue of the heretical kenosis doctrine (self-emptying) using Philippians 2:5-7 as a proof-text [pp 79, 85 fn. 3]. In “His self-imposed restriction to live as a man” [p 29], Johnson claims that Jesus “had NO supernatural capabilities whatsoever” [p 29] clearly reducing Jesus to a man given that God is in very essence supernatural. Even though Johnson makes the statement, “[w]hile He is 100 percent God, He chose to live with the same limitations that man would face once He [sic?] was redeemed” [p 29] Johnson negates this with “He had No supernatural capabilities whatsoever” and “He laid his [sic] divinity aside as He sought to fulfill the assignment given to Him by the Father…” [p 79]. One could construe Johnson’s “while He is 100 percent God” statement as present tense as opposed to past tense (i.e., during the Incarnation) especially in light of his numerous statements pronouncing Christ’s humanity at the expense of His deity including “the anointing is what linked Jesus, the man, to the divine enabling Him to destroy the works of the devil” [p 79]. While the Greek word Christos is translated primarily as anointed in the Old Testament, in the New Testament Christos is translated each and every time as “Christ” referring exclusively to the person of Jesus Christ our Savior. To change the definition of “Christ”, as in the person of Jesus Christ, to “anointing” is to pave the way for all to be “Christed” as the “Christ anointing” quote above in Face to Face with God makes clear. Johnson goes on to claim that all those against ‘the anointing’ – i.e., ‘the anointing’ as he defines it – are antichrist. This is illustrated in the following two statements: “The spirits of hell are against the anointing, for without the anointing mankind is no threat to their dominion” [p 80] and, “The spirit of antichrist is at work today, attempting to influence believers to reject everything that has to do with the Holy Spirit’s anointing” [p 81] (see here for more details). Bill Johnson is leading many into apostasy and my heart grieves for these. May the Lord have mercy upon us all.